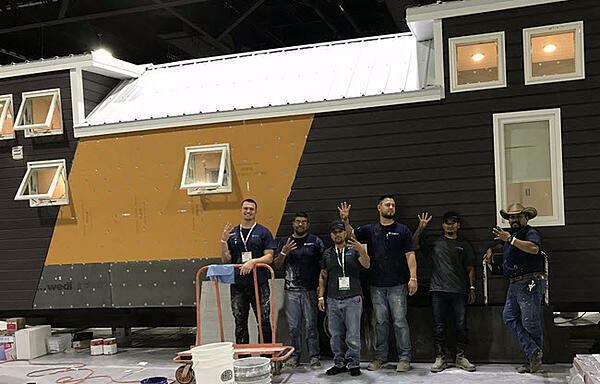 The tiny house version of the Installation Design Showcase returned to Coverings 2018 and so did J&R Tile which focused on installing gauged porcelain tile panels in addition to glass tile. If you missed their 2017 installation, you can learn more about it in J&R Tile's Erin Albrecht Talks Tile in a Tiny House. 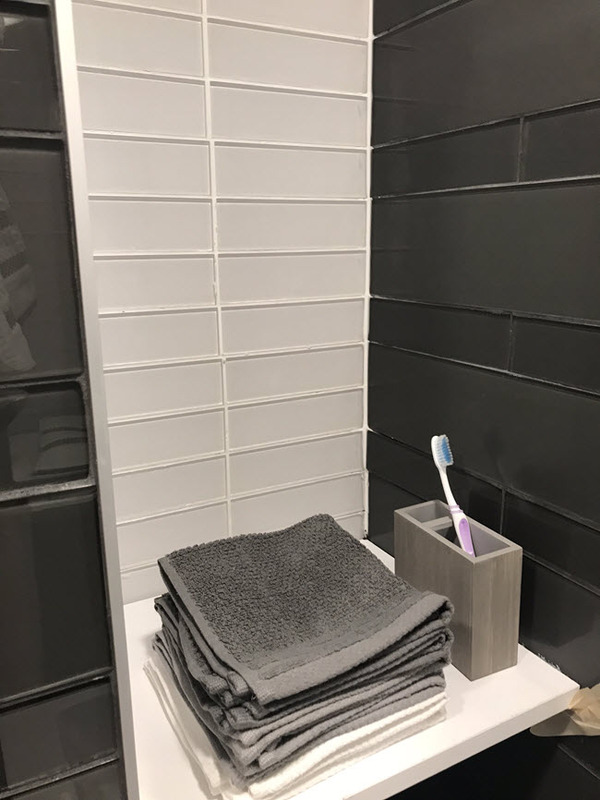 We caught up again with Eric Albrecht to get the low down on the 2018 installation which the J&R Tile team completed in association with Rita Carson Guest of Carson Guest Interior Design. CTEF: Erin, why did J&R Tile decide to re-enlist for the Installation Design Showcase? EA: When Bart called to ask if J&R Tile wanted to participate, we were honored and accepted the invitation. It was difficult with our schedule and projects, but our awesome staff back in San Antonio held down the fort while we were off in Atlanta. CTEF: Who on your team participated? EA: Triniti Vigil (Rock Star Award Recipient) ACT/CTI #1144, Adam Arellano ACT/CTI #1140, and Sonny Cantu CTI #1368. Taylor Laird, Zeke Rodriguez, and Clyde Cantu are all enrolled in NTCA University and currently going through their apprenticeship. You see them in the image below. EA: We met in the J&R Tile conference room, and they took this challenge like they do all challenges, with optimistic outlooks. CTEF: What was different about this tiny home compared to last year’s? EA: The installation in this Tiny House consisted of 100% gauged porcelain panels and glass from Crossville. Full panels covered all floors and most walls, and they are difficult to squeeze in a Tiny House! We even had panels on the exterior. CTEF: Your installation team was paired with Carson Guest Design? EA: It was an honor to work with such a distinguished design firm as Carson Guest Interior Design, and Rita, Tony, and Kimberly worked their tails off with us to finish on time. We learned about each other, and the "CG Villa" was classic Carson Guest Design. Pops of color and classic, timeless palettes throughout as you can see in the image below. 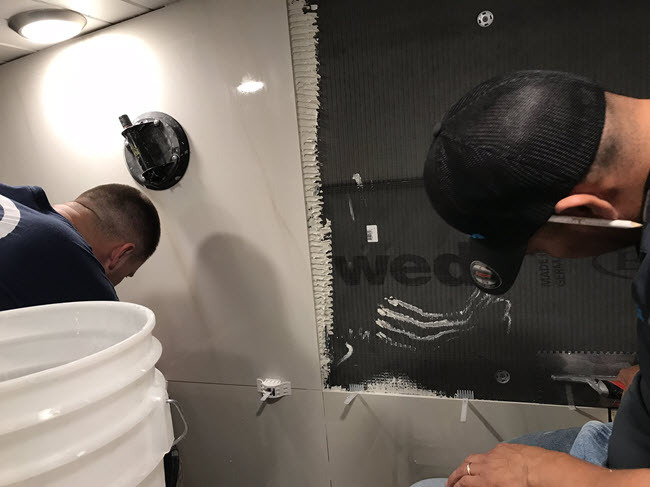 CTEF: What tile products did you install? EA: All adhesives, grouts, and flexible sealants were Ardex Tile and Stone. All substrates were Wedi XPS, and all tile and glass were Crossville Laminam and Color Wave Glass. CTEF: What kind of unexpected situations or last-minute changes did the team have to deal with? EA: There was a tremendous amount of waste, and Rita was flexible on some of the accent walls and moving some materials around with design intent when we were short! EA: The most critical aspect of this project involved the installation team's training, skills, and certifications. I was even impressed with some of the fabrication of the panels. Our staff really challenged themselves on taking no shortcuts and installing the full panels in the tightest of spaces. As you can see in the image below, a tiny house doesn't offer much clearance. They never cease to amaze me and are the most remarkable group of men. Panels require suction cups and teamwork, and our team really showed patience and collaboration with not one argument. The pride and heartbeat of J&R are our CTIs and ACTs who share the same vision and create our culture and core values. EA: I would like to highlight and thank our team, and how proud they make me. They represent professionalism at the highest level. There were times in this house where we just couldn't help but laugh at the situation because it was so intense. These men make me a better person and challenge me to be a leader in this trade. I am so grateful to be working with each and every J&R employee, especially the team back home. Mylo and Linda at J&R are THE BEST project management staff in the biz. We were also thrilled that Mark Shannon from Crossville came by to visit and share some Texas and San Antonio stories. Mark, Lindsey Waldrep, and Noah Chitty at Crossville are so much fun! Frank Galvan at Ardex came by to lend a hand; he is our rock in Texas. Frank exemplifies what a partnership in business is all about (Imagine Jerry Maguire - Tile Edition). He was on every conference call in pre-con. Thank you to the Ardex gang of Jesse, Mark, and Russ for supporting J&R and helping our business grow through constant training and development. Also, a special thank you to Wedi, Rubi, and QEP for sponsoring and Hummingbird Tiny Housing for building and trimming out these homes! What an amazing family business out of Georgia. Networking with the other 5 Star teams - Sam Bruce from Visalia Ceramic Tile and Woody Sanders from DW Sanders Tile and Stone - from was probably the best part. J&R is honored to be in such an elite group of contractors, and we always have something to learn from each other! 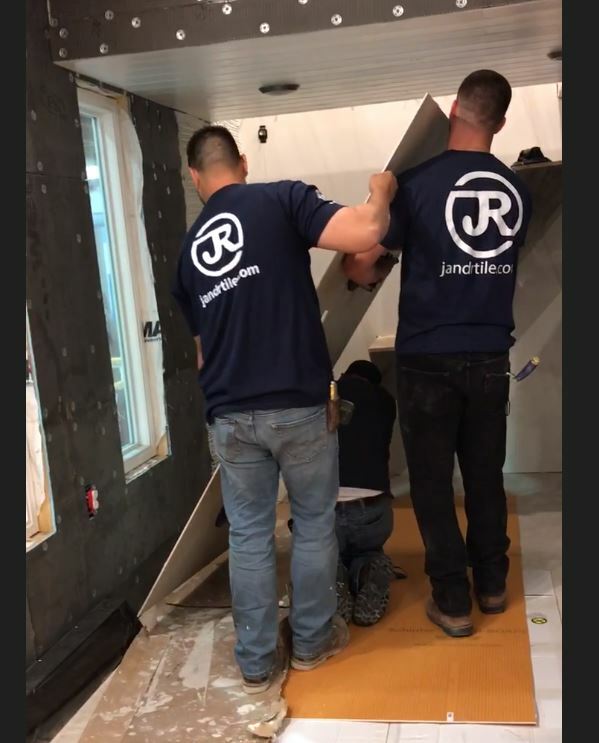 CTEF: Thank you, Erin, and congratulations to the J&R Tile Team! 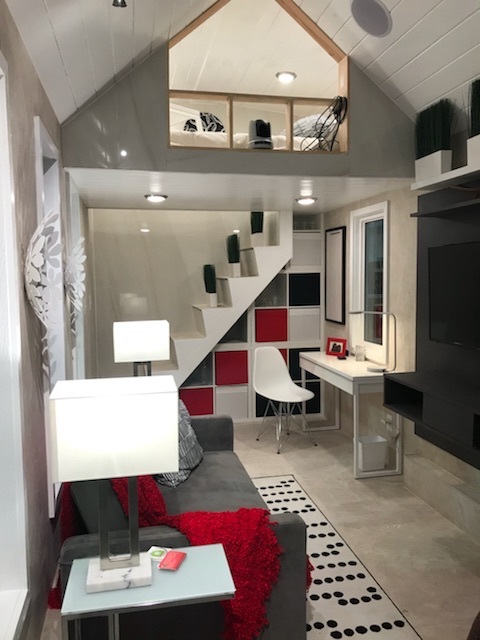 Did you have a chance to explore this tiny house while you were at Coverings? What was your reaction to the space and to the tile?